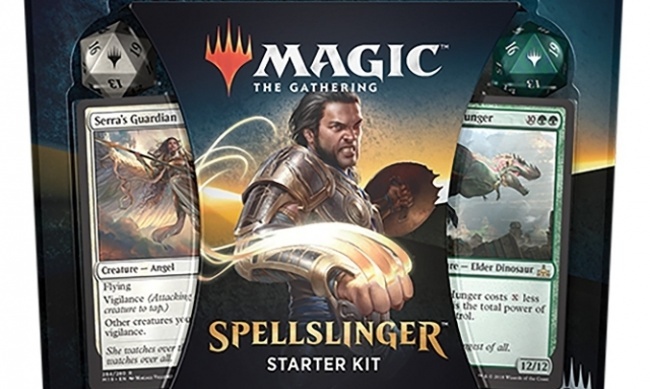 Wizards of the Coast is releasing a new player kit for Magic: The Gathering, the Spellslinger Starter Kit, which will release on October 5. 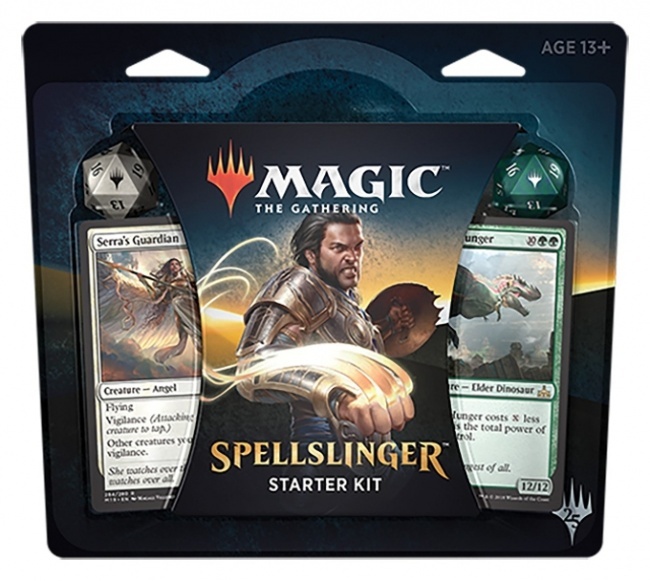 The Spellslinger Starter Kit is specifically designed to help ease new players into the game. It features a pair of pre-constructed decks that are not shuffled before the first game. Instead, the kit guides players through their first game, using the cards in a predetermined order. Each deck includes cards that help players start playing and the learn-to-play guides explain how the game works step by step. After players complete their guided learning game, they can then shuffle the fully-playable, Standard-legal decks and play the game normally. The first deck will be a red-white deck featuring the classic Shivan Dragon, while the second deck will be black and green and features the Pelakka Wurm. The kit will include two complete 60-card decks, two quick-start learn-to-play guides, a booklet that describes the world of Magic and the rules of the game, and a pair of spindown dice players can use to track their life points. The cards in the kit include five cards from the Guilds of Ravnica set, releasing in November (see “New ‘Magic’ Sets Revisit Plane of Ravnica”). MSRP is $14.99.